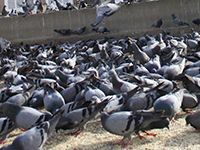 A-1Exterminators offer a range of cost effect bird control solutions to suit all requirements. We cover Birmingham and the West Midlands with our professional services. We provide a UK coverage for pest control services from our four bases in Birmingham and the West Midlands. A-1Exterminators offer insect control for both commercial and domestic customers. Don't share your dinner with unwanted guests. If you are experiencing a pest infestation problem in your home or business premises and it is causing damage, disruption and stress then it’s time to call in A-1 Exterminators. 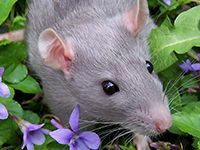 Based in Birmingham we are UK specialists in rat control, vermin control, bird control, insect control and rodent control. We operate throughout the UK and provide a 24 hour, 7 days a week service so we are always available to deal with your pest control problems. No job is too big or too small for A-1 Exterminators and we will work closely with you to ensure that your pest problem is eradicated so that you can get on with your life as normal. Whether it’s a wasp nest that needs removing from your garden, an ant infestation in your conservatory or a mice problem in your attic, the team at A-1 Exterminators are able to discreetly and swiftly remove the problem and make sure that you can enjoy a pest-free environment. A-1 Exterminators offer an extensive service for commercial and domestic pest control problems across the West Midlands. 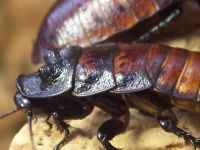 From commercial properties to warehouses, retail premises, industrial units, restaurants and schools we know how disruptive and damaging having a pest problem can be. 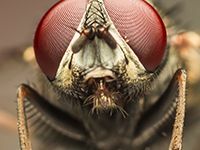 Pest infestations can cause damage to the environment, your health, and could potentially be damaging for your business as well as your building. If you identify a pest problem at your commercial property then it makes sense to act quickly and call in professionals. By calling A-1 Exterminators early we can quickly and discreetly remove the problem for you so that you can carry on with business as usual. We can also advise you on what steps to take to avoid pest infestations in the future. Using the latest equipment and humane pest control methods we have built a strong reputation for providing expert pest control across the UK. To find out more about our wide range of pest control services then please contact us. We can handle all aspects of pest control from simple pest removal to more complex pest infestations. Our expert knowledge and highly committed team of pest control specialists are dedicated to providing you with a first class service for all your pest control needs. Contact us now on 07956 904 730 or complete our online enquiry form and one of our specialist team will be glad to help. Excellent service, arrived and dealt with the bees quickly - brilliant job! You have always provided me with a reliable, friendly and effective service, I would recommend your services. Service was excellent again as usual 10/10. We have worked with CDL Ltd for a number of years and have always received an excellent, prompt, efficient and reliable service that is very competitively priced. We would have no hesitation in recommending Craig and his team. A-1 Exterminators provides a wide range of pest control services.